Basswood Shutters is a durable wood that gives these shutters a really smooth finish and shows a soft grain when stained. 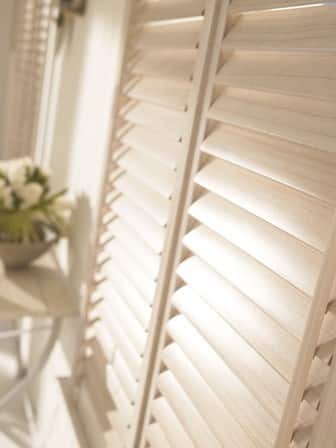 Our Basswood wood plantation shutters range has our most comprehensive choice of shades and will provide an excellent choice for any window.The natural feel to this shutter combined with a multitude of colour options means that you are sure to find the right shade and look for your room. Our Basswood Shutters are also available for awkward shaped windows.